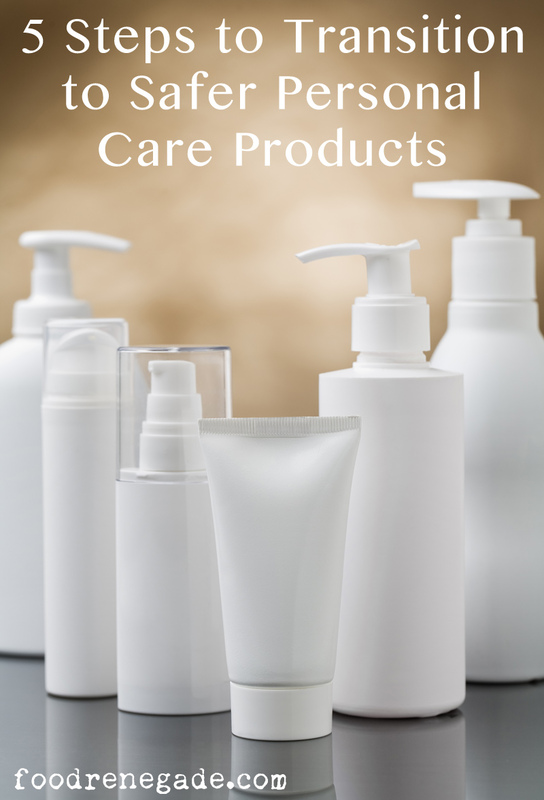 How many personal care products do you use every day? Once I added up my deodorant, toothpaste, shampoo, conditioner, soap, face wash, moisturizer, mascara (check out my safer mascara guide), lipstick, etc. ; I realized that twelve sounds like it might be on the low end. Why am I asking about your personal care products and counting up what I use? 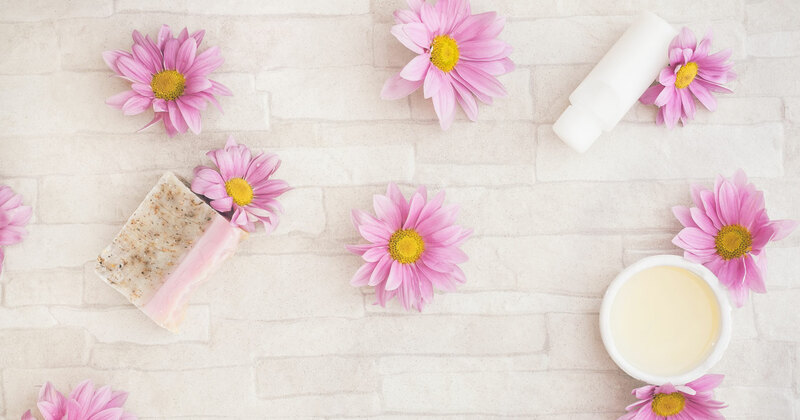 Because the personal care industry is almost completely unregulated, many of the ingredients used in products are either known to be harmful or have never been tested for safety. The FDA does not require that products be tested for safety before they hit the market. Want to make sure you’re not unknowingly using harmful products on your body? Here are five simple steps you can take to transition to safer products and avoid many of the toxins found in products currently on the market. There’s a growing body of evidence that shows that the environment toxins we are exposed to play a role in many diseases and disorders in the U.S. That includes toxins in our personal care products! You may think that there’s no way something known to be harmful can be found in a product that is readily available to buy off a store shelf. Unfortunately, that’s just not true! Here’s just one example that shows how our personal care products are impacting our health. Adolescent girls are particularly susceptible to environmental toxins especially those that have endocrine-disrupting hormones, which are chemicals that change the way hormones work in the body. They may mimic, block, or disrupt the way a hormone is intended to work. Before puberty, the reproductive system is incredibly sensitivity to estrogen. The change we’re seeing in adolescent girls’ development may in part be due to using products that contain ingredients like phthalates. Phthalates are endocrine disruptors that cause havoc on the hormone system, including mimicking estrogen. This ‘estrogen’ signals to the body to begin developing earlier than it would without these toxins. Phthalates are used to make plastics soft and flexible. They are used in toys, electronics, adhesives, plastic containers, and etc. But they are also found in personal care products. They are used to help products penetrate the skin, to be more pliable, and for fragrance to stay on the skin. Cosmetics, fragrances, nail polishes, deodorants, hair sprays, creams, and lotions are common products in which phthalates are used. Baby products are not immune. A study in 2008 found an association between the number of products with phthalates used on infants and the amount of phthalates found in the infants’ urine. Baby shampoo, lotion, and powder were the highest associations. Phthalates are just one of hundreds of ingredients that are legally used in the U.S. in personal care products. (Read more about the dangers of phthalates outside of girls’ development here.) While the European Union has nearly 1400 products banned to protect their citizens (source), the US has limited or restricted 11 (source). Marketing for personal care products can be incredibly misleading given that the industry is so unregulated. 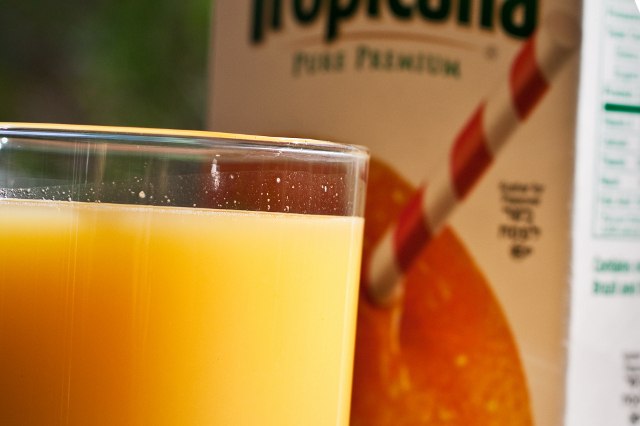 Terms like ‘all natural’, ‘organic’, or ‘non toxic’ are essentially meaningless. Because it’s left up to us as consumers to self-regulate, we need reliable sources to understand the safety of our products. I prefer to use the Environmental Working Group’s Skin Deep database. This tool allows you to look up individual products, obtain a score for each between 1 (safe) and 10 (not safe), and to see each ingredient (at least those that the company has disclosed) so you can understand it’s potential health issues. If a product is not available, you can look up the individual ingredients to make a determination on the safety based on what you find. Note that all ingredients in a product do not have to be disclosed. As I shared in my post about safer laundry products, in the United States ‘fragrance’ is considered a trade secret and companies do not have to disclose which chemicals they use to create a fragrance. While data can be limited, not all chemicals have been thoroughly studied for safely and not everything is disclosed. I still find that the Skin Deep database is a great place to start to understand what is in your current products! It can be overwhelming when you find out that the products you’ve been using are not as safe as you thought. Especially if you went out of your way to purchase products with labels that mislead you to think they were safer. Rather than stressing (which can be just as bad for your health as the chemicals in your products!) decide on how you will clean up your personal care routine. You can throw all your products out and replace them all immediately. But that sounds stressful and expensive. replace the most ‘offending’ products first. List your products by EWG rating and as you can afford to replace products, start with those that have the highest scores. replace your products as they run out. When it’s time to replenish, replace the product with a safer alternative. replace products that stay on your skin first. Choose to replace the products that remain on your body (deodorant, lotion, nail polish, and cosmetics) first, then replace products that wash off like face wash, shampoos, and etc. If cost is a factor or you prefer to go truly 100% natural, consider using common household ingredients for some of your personal care needs. There is a plethora of information on the internet around this and here are a few of the most common. Coconut oil is easy to find, inexpensive, and can replace many personal care products. A common use for coconut oil is as a face wash and moisturizer by following the oil cleansing method. Other uses include as a deep conditioning hair mask, dandruff treatment, teeth whitener (via oil pulling), and body lotion. Read more about how to use coconut oil for skin and how to choose a good coconut oil. For those who are sensitive to coconut oil, olive oil can be used for the oil cleansing method as well. You can also try it on diaper rashes or eczema, as a shaving cream, as a makeup remover, or as a nail treatment. Make sure you’re buying quality olive oil, not a fake! I love using apple cider vinegar in the kitchen, but only recently discovered that it can be a great addition to personal care routines as well. Common uses include as a facial toner, hair rinse, acne spot treatment, and anti-fungal foot soak. I prefer to use raw, unfiltered apple cider vinegar. If you’re like me, you may not be a big fan of making your own products. I have no shame in saying that I am ‘DIY-free‘. Rather than make my own, I take advantage of (and support) companies who do the heavy lifting of making safer products. It takes some research to find companies that are actually making safer products. I’ve found safer skincare and other personal care companies through other health and wellness bloggers, by researching verified companies and companies whose products score low in the Skin Deep database, and by generally keeping on top of the industry news. I look for companies that are transparent and disclose all ingredients, that use products know to be safe, and that create products that work well. I’m not terribly concerned about synthetic products if they’ve been screened for safety, but you can focus on 100% natural companies if that is important to you! Supporting these companies not only ensures that you are using safer personal care products but it’s also a vote for safer products in general. The industry will change as consumer spending changes. Have you transitioned any of your personal care products? What are your favorite household ingredients or brands? I swear by coconut oil! I use it in my kitchen as a healthy alternative to olive and other “healthy” oils and cooking spray, since they oxidize faster when it’s heated, and coconut oil has a high smoke point and adds a wonderful (and slight) coconut flavor to cakes, granolas, and other recipes. It also makes for a great natural skin moisturizer and makeup remover- try applying some on your body after a shower, then pat dry with a towel. Coconut oil also makes a great lubricant and furniture/shoe polish around the house! There are hundreds of great uses for coconut oil! Hi there! I love using raw shea butter & mango butter for a ton of things, from a body moisturizer to a deep conditioner, even a winter dry skin treatment. It’s used for so many homemade products too so it’s a big multitasker, deodorant, lip balm, conditioner, moisturizer (even for acne prone skin!) lotions etc. It is SO worth the money. I love your advice to start slow. I didn’t &was so overwhelmed, esp bc I tried to DIY it all. like you said there is nothing wrong supporting companies that work hard to bring us safer products. Thank you for your continuous battle you aren’t alone in this fight!